The Japanese camera company Canon has been producing quality cameras for over 80 years, and in that time, they have produced some of the highest rated photographic equipment in the world. Such is their reputation if you were to type in the words ‘top camera brands’ you will find them in the No. 1 position on most of the lists that appear. To say they dominate the camera industry might be overstating it a little but they are undoubtedly at the front of the pack. And it just isn’t cameras which they excel at producing. 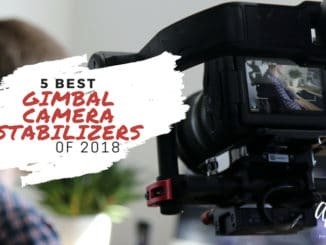 They are also one of the top producers of camcorders, printers, photocopiers, and they also have an excellent reputation in the field of medical equipment too. But it’s cameras we are here to discuss and two of Canon’s finest products which are the Canon 80D and the Canon 7D Mark II. Each of these digital SLR cameras has an abundance of great features so let’s look at them in more detail and compare them. Given the multitude of features and specifications that any single digital SLR camera will have, to assess two of the very best could mean we would have to write a small book to cover every one of them, so you’ll be pleased to know we won’t be going down that difficult route. Instead, we are going to look at eight of the specifications which differ between each camera, and these will be eight of the most important to the photographer using the camera. As you’d expect most of the features we look at will be ones that have the highest level of influence on the quality of the images the cameras produce, but we will also look at one or two more practical differences. We also must point out that there are some specifications and features which are identical in both models, so we will mention these too, just in case any of them are something important to you. This makes you aware that whichever model you purchase, those specific features will be present. Although there are plenty of comparisons to make between the two cameras, there are several positive qualities and features which are identical or common to both. Some of these relate to practical considerations for when you are using the camera, and others relate to the imaging specifications of the cameras. Physical features which they both have, include a built-in flash, a top-quality LCD display, sealing against environmental issues such as dust and moisture, and ports for both a microphone and headphones. As you’d expect on cameras at this level, both have a built-in flash and a shoe if you wish to employ an external flash. When it comes to imaging, the Canon 80D and the Canon 7D Mark II have face detection, RAW support, which provides the means for improved image processing. They also have time-lapse recording, which can produce fantastic imagery of the natural world. Plus, they both have auto exposure bracketing for situations when you are unsure of the exposure settings and want to get the best image possible. Whenever you are photographing something which is happening at high speed the ability to have continuous shooting is paramount. Further to that, the faster that your shutter can operate, the more frames you are going to capture, and are thus less likely to miss an image of something that happened in a split second. This is an area where the 7D Mark II beats the 80D as its continuous shutters speed is ten frames per second whereas the 80D only operates at seven frames per second. This means that in 30 seconds of a dramatic incident, a piece of sports action or some amazing scene that you wish to capture, the 7D Mark II will have 90 more images of it than the 80D. The possibility that just one of those extra images is the one which captured the scene exactly as you wanted it is a huge advantage the 7D Mark II offers you over the 80D. Verdict: The 70D Mark II wins this one. In these days of handheld tablets, cellphones, and other personal devices, touch-screen technology is becoming more prevalent. It was only a matter of time before it found its way to the world of digital cameras, although many photographers still prefer buttons, switches, and dials. 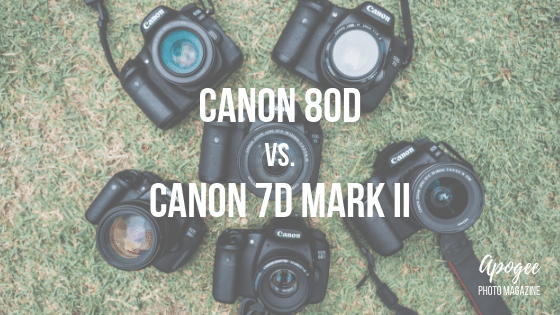 If a touch screen is something you prefer, then there is only one choice when it comes to the two Canon cameras we are comparing because only the 80D has it. The other advantage the 80D has over the 7D Mark II is that its display is an articulating one and allows you to move it away from its normal position by pivoting and adjusting it. One example of many scenarios when this could be useful would be in very tight areas, where space is limited, and you cannot get behind the camera. Verdict: On the display and screen the 80D wins easily. In this wireless and digital age, there isn’t a day that goes by where some other piece of equipment can connect to the internet. Even refrigerators can do it these days to order groceries. When it comes to a camera being able to instantly upload images for others to view this is just one reason why you’d want it to have connectivity, especially wirelessly, given that you are likely to be photographing in locations where Wi-Fi is your only means of connecting. Unfortunately, the 7D Mark II does not offer wireless connectivity, so on that one, the 80D is an obvious winner. But it goes even further as it also gives you the ability to operate the camera using your smartphone. If that is not enough, it can also connect wirelessly with other equipment such as photo printers. Verdict: No contest. The 80D wins. If you’ve ever looked at your display while about to take a photo and seen lots of little boxes, you may or may not know that these are ‘focus points.’ What they indicate is where the camera’s autofocus system is trying to focus to ensure the image is as clear and sharp as can be. This does not mean that you can’t manually focus the camera and you are normally able to select how many focus points the camera uses at any one time. The more focus points a camera has the more options there are for the photographer to choose which one they wish to use. In the case of our two cameras, we have the 80D with 45 possible focus points, but it is beat by the 7D Mark II which has no fewer than 65. Verdict: The 7D Mark II wins the focusing comparison. We’ve all heard of pixels, whether that is in relation to photography or images online and how the sharpness and quality of any digital image can be enhanced the more pixels it has. This is a simple comparison to make, as it basically boils down to the question as to what the maximum number of pixels each camera can produce in an image and the answer is 24 megapixels for the 80D and 20 megapixels for the 7D Mark II. That difference is quite significant and means the 80D’s images have the potential to be 20% higher in terms of their quality than the 7D Mark II, although please remember the megapixel number is not the only contributing factor. Verdict: No doubting that the 80D has the better sensor resolution. Let’s be honest; if you are considering either of these two cameras, you are not looking in the bargain basement market. 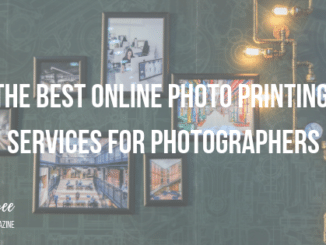 These are quality items of photographic equipment, and as with any high-quality products they both have price tags which are congruent with that. For this reason, we’re sure you want your camera to last you for many years to come, and one factor in determining its longevity is the shutter life expectancy. The reason for this is that although much of what a camera does involves no moving parts, the shutter operation does. As such, it has a finite life, so it is essential to consider it. For the 7D Mark II, we are looking at a shutter life of around 200,000 operations. For the 80D however, you are only going to get half of that life expectancy as it is 100,000. We must point out that these are replaceable parts, so it does not mean that this is the lifetime of the camera, just the shutters. Verdict: The 7D Mark II is going to outlive its rival by about 100,000 photos. For anyone who has ever been stuck outdoors and cursed any battery-powered device which has died on them, this section is for you. It will also be of interest to those that like taking their camera on long journeys away from the hustle and bustle of the city where you may not always have access to a power point. Yes, we are looking at the battery life of each camera here, and it is a simple matter of comparing them. However, we will not be looking at how much the time they will last, which is usually how many batteries are measured. As this is for a camera battery is more useful to compare the number of shots that each fully charged battery can power until it needs charging. For the 7D Mark II you are going to be able to take around 670 shots before the battery gives out, which is more than respectable. Even so, it is well behind the 80D which has a battery capable of 960 shots on a full charge, which is almost 300 shots more, or 43% more to compare it that way. Verdict: Little doubt that the 80D has powered to victory here. There are many products where the weight is not taken into consideration when buying, either because they are so light it doesn’t matter, or they are not carried around much. 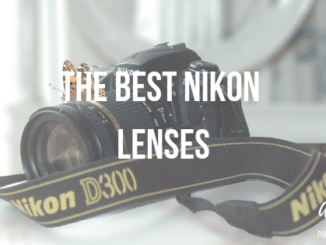 Neither of these apply to digital SLR cameras, and given that you may be carrying other pieces of photographic equipment at the same time, weight is certainly one characteristic you need to assess. The 7D Mark II weighs in at 32 ounces, or if you prefer metric that is 910 grams. That is certainly not the heaviest camera by a long way, especially considering the number of features it has. The 80D is a lightweight by comparison as it weighs just under 26 ounces or 730 grams. That is quite a significant difference by camera standards and means with the 80D you are carrying a camera that is 19% lighter. Verdict: Lightweight is great for the 80D which wins this comparison. 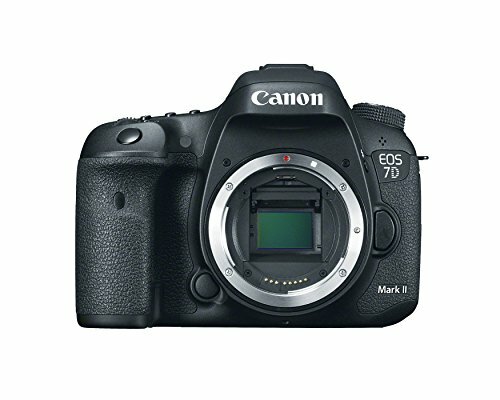 The Canon 7D Mark II and the Canon 80D are both great cameras which share many excellent features, some of which are identical. These include features such as their flash configuration, environmental sealing, face detection and ports for connecting microphones or headphones. However, we are here to compare the two models and ultimately pick a winner. We recognize that some of the features we deem more important might differ as to how other photographers might prioritize them. Ultimately, we chose the Canon 80D for a mixture of both practical and photographic reasons. The practical includes the fact that it is lighter to carry around, and that its battery life is much greater than that of the Canon 7D Mark II. The touchscreen display might also be classified as practical, but the fact that it can be articulated to multiple positions not only makes it easier for the photographer to do their job, it also gives them the opportunity to take better photographs in situations where the 7D Mark II would not allow. 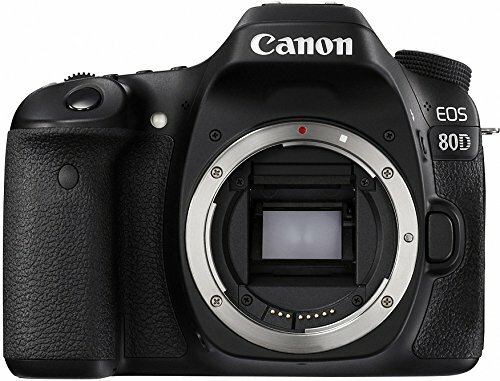 Add to these the wireless and remote control functionality which the 7D Mark II does not have plus a higher specification sensor which produces 24 Megapixel images versus only 20 then the victory is complete for the Canon 8D.